2,082 Sq. 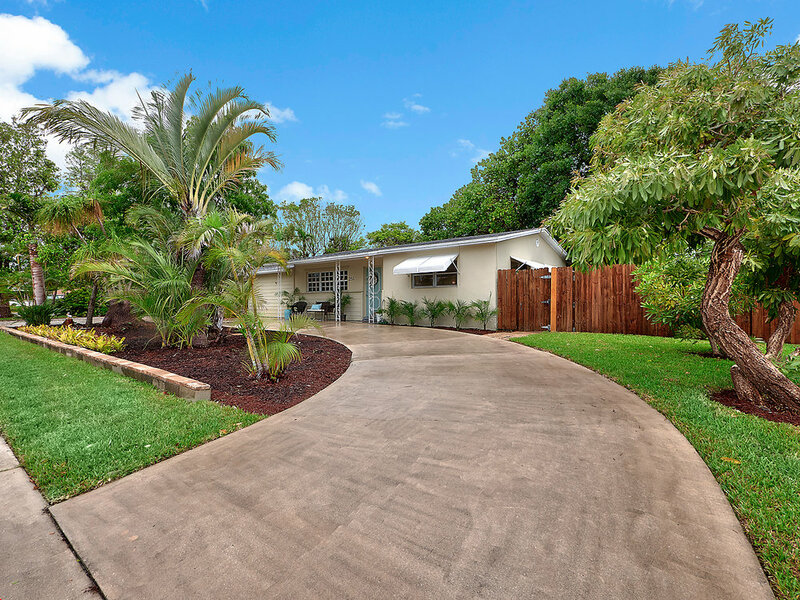 Ft. Mid-Century, Expanded Bungalow on a ~12,000 Sq. Ft., corner lot with Horseshoe Driveway. Deceptively larger than it appears from the outside. Come inside ... You'll be pleasantly surprised at how spacious this home is! 3 Bedrooms & 2 Full Baths, Formal Living & Dining Rooms, Ample Kitchen with a Wall of Pantries, Huge Family Room, Open-air Screened Porch, Outstanding Owner's Suite (19' x 17') plus Master Bath with Integrated, huge 12' x 8' Walk-in Master Closet. Newer, Dual Zone AC. Quality CBS construction, Fully Fenced Back Yard w/Room for a Pool & so much more! Great neighborhood & schools.